Toy Galaxy understands consumers' demands for safe, high-quality toys. That's why we inspect all incoming raw materials for harmful substances. To further ensure quality, we individually check finished units before shipment. 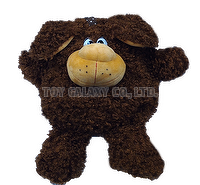 To get the attention of kids, our plush toys play songs and move in a variety of ways. With over 15 years of experience each, our designers develop 20 new items quarterly. For your OEM/ODM orders, they can turn your toy ideas into reality. Just send us your requirements or drawings. For market entry into Europe, our products meet EN 71 standards. We can also provide the approvals required for entry into any other market. Contact us today with your market requirements or inquiries.